Apple used a press release Monday, rather than next week's press event, to debut updates to its iPad Mini and iPad Air tablet lines. Why it matters: Neither product has seen a refresh in some time and the updates mean those looking for an iPad have significantly more choices. 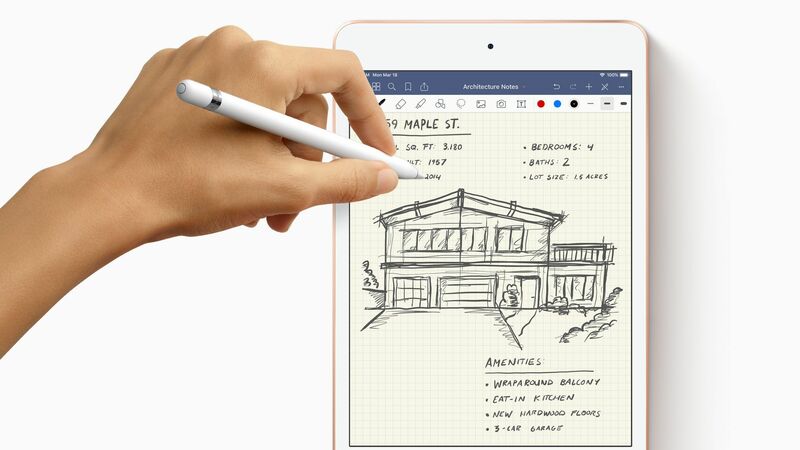 The new iPad mini features a modern processor, 7.9-inch Retina display and Apple Pencil support (the first generation one) but retains the Lightning port and headphone jack. It starts at $399, with cellular connectivity and more memory available to those willing to pay more. The iPad Air has many of the same attributes as the new iPad mini with a larger 10.5-inch screen. It starts at $499 and also has the option to add a cellular modem or more memory. Both products are available now for pre-order and are due in stores next week. The bottom line: The move makes sense for a couple of reasons. First, it allows Apple to keep the focus at the event on the services, rather than the hardware. Second, it gives Apple a more full iPad lineup ahead of services that will benefit from more people on iPads.